A new tool strengthening method for micro-tools using pulsed magnetic treatment has been experimentally investigated. Compared with the conventional tool strengthening method, the pulsed magnetic treatment of micro-tools enables effectively reduce tool wear both by improving the mechanical properties of the tool material and changing the tool-chip contact friction mechanism which results in efficient chip removal and good surface quality. On account of this method, the untreated and treated micro-tools and three different magnetic properties of ferromagnetic, paramagnetic, and diamagnetic workpiece materials were used to perform comparative cutting experiments. The tool wear, cutting force, and surface roughness were measured to quantitatively investigate the influence of magnetic treatment on the micro-cutting process. 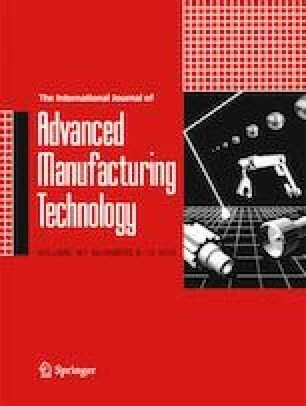 Results showed that wear resistance of micro-tools could be improved when machining ferromagnetic and paramagnetic materials, of which the minor flank wear could be reduced by up to 56%. However, the tool wear increased when machining the diamagnetic materials. On the basis of relationship between micro-tool, micro-chip, and workpiece, the machining mechanism is analyzed in detail in pulsed magnetic treatment for micro-tools. This work was supported by National Natural Science Foundation of China (No. 50935001, No. 51575049, and No. 61673383).